China has become the second country in the world after the United States to formally adopt a fifth-generation fighter plane into service. Alongside the American F-22 and F-35, and Russia's Su-57, the J-20 has brought China into a very small group of countries capable of building fifth-gen aircraft. 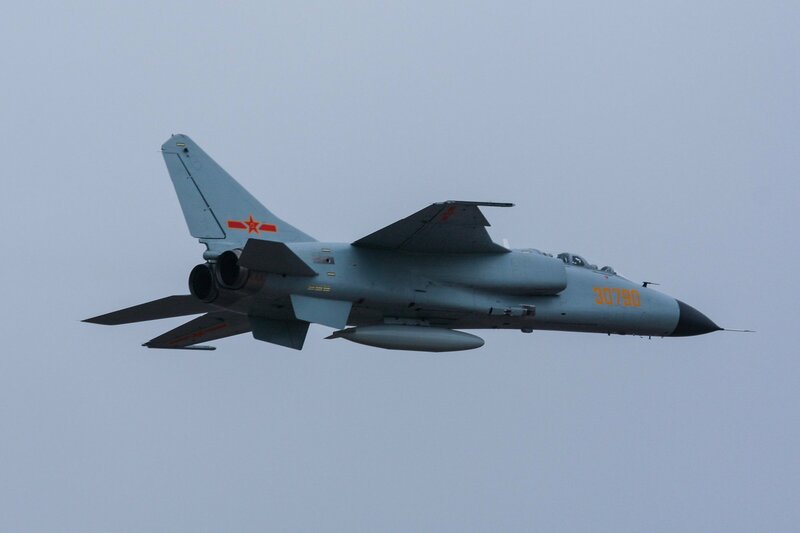 Last week, Defense Ministry spokesman Wu Qian confirmed that the twin-engine, single-seat jet had been "officially commissioned" into service with the PLAAF, adding that flight testing is being carried out "as scheduled." "This is an outstanding achievement," according to military observer Vasily Kashin, "but its real impact on the combat capabilities of the PLAAF will depend on a large number of factors which are not entirely known to us," he wrote in an analysis of the new plane for Sputnik. The analyst, a specialist Chinese military power, explained that these factors include the question of whether the Chinese aviation industry will be able to achieve a relatively high production rate for the new aircraft at an affordable price. The history of the US effort to build fifth-gen fighters serves as a cautionary tale, Kashin noted. After all, he recalled, the high production cost of the world's first fifth-gen fighter, the US F-22 Raptor, led to the early termination of production of that aircraft. "Just as important is the question of possible design deficiencies in the plane which haven't yet been identified in testing. It cannot be ruled out that China may have sought to accelerate the adoption of the plane into service in pursuit of prestige, with the plane to be further refined after it is adopted." Such things have already occurred in the Chinese military industry in the past, the analyst stressed. "It's enough to recall the story of the arrival of the first batch of JH-7 bombers into the Chinese' Navy's air force (the PLANAF), after which production of the planes was halted, and resumed only in 2004 with the advent of the more advanced JH-7A." The navy was left dissatisfied with the JH-7's lack of precision air-to-surface strike capability, which the JH-7A remedied. The new plane also includes a stronger airframe (increasing its maximum ordnance load), improved sensor systems, electro-optics, counter-jamming, radar, flight control systems and other upgrades. Kashin doesn't believe that the 'base' J-20 will meet the same fate as the JH-7. Nevertheless, the observer stressed that "mastering such a complicated machine will not be an easy task for the PLAAF," particularly if global experience in the production of fifth-gen fighters is anything to go by. Recalling again the experience of the US, the observer pointed out that the US Air Force first began purchasing F-22s in 1999 for testing and pilot training. The planes didn't reach basic combat readiness until December 2005, after which they began to be used in major drills. Reaching full combat readiness required another two years, until December 2007. The US wouldn't deploy its F-22s in the Persian Gulf until 2009, and they wouldn't see their first combat use until 2014, when they were used to strike Daesh (ISIL/ISIS) in Syria and Iraq, in spite of the fact that the US military was involved in several wars during this period (Iraq, Afghanistan, Libya). "The development of the second US fifth-generation fighter, the F-35, has been even more painful," Kashin added. "The US Air Force received its first batch of F-35As in 2011, but was not ready to announce their basic combat readiness until the end of 2016." Another problem with the F-35 is its staggering cost, with an estimated total price tag in excess of $1.5 trillion dollars and climbing. Military observers call the F-35 a perfect example of what happens when engineers are given a blank check to build a miracle super plane, and then given more and more money as the military attempts to get something for the immense funds committed to the program. Russia has faced its own problems with the Sukhoi Su-57 (formerly known as the T-50 or PAK FA), an aircraft in the active prototype stage since 2009. Making its first flight in 2010, the plane, expected to be introduced sometime between 2018 and 2019, has faced problems with the creation of a truly fifth-generation engine, instead using NPO Saturn izdeliye 117 engines, the same as those used by the 4++ generation Su-35S air superiority fighter, in the interim. Designers expect to equip the T-50 with fifth-gen izdeliye 30 engines starting in 2020. According to Kashin, part of the problem faced by fifth-generation fighter designers worldwide is that "many of the capabilities of these planes which lead to a huge increase in costs may prove superfluous in the wars for the future." 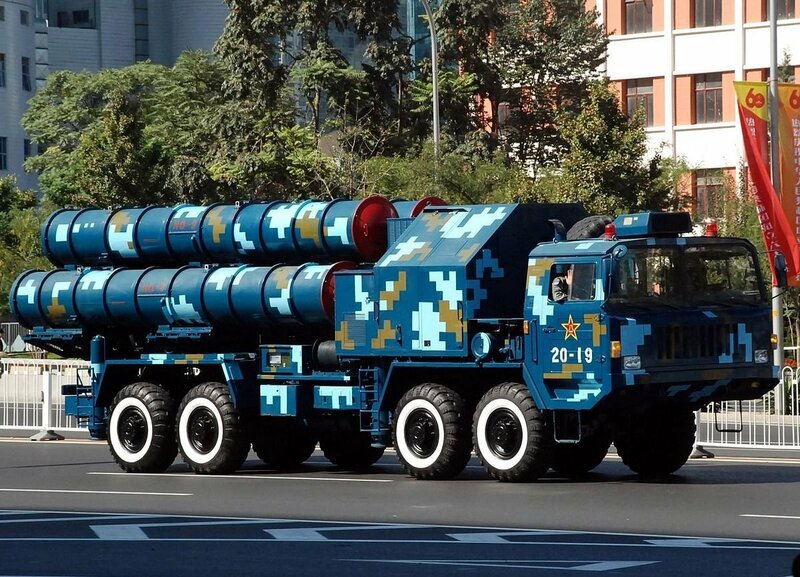 The analyst noted, for instance, China and other powers are allocating vast resources to combatting stealth capabilities via air defense. This means that many of the technologies used by these planes to ensure low-visibility on radar will depreciate in value with the passage of time. HongQi 9 [HQ-9] launcher pictured in Beijing during the 60th anniversary parade dedicated to China's founding, 2009. Furthermore, the observer pointed out that "very often, air power will be used against irregular forces and insurgents. In the fight against this kind of adversary, there is no need for the capability to cruise at supersonic speed, low visibility or powerful radar with active phased array antennae. What the aircraft will need is the ability to maintain a very high rate of combat operations –flying several combat sorties per day, without interruptions or excessive time on the ground for maintenance." For these kinds of missions, Kashin wrote, "fifth-gen planes may lose out to older planes." Ultimately, the analyst believes that China will be likely to continue to maintain its fleet of less expensive fourth generation aircraft, such as the J-11B and the J-11D, as the backbone of the country's air defenses. "Fourth generation planes will also be used in ground operations where the capabilities of fifth-gen aircraft are clearly redundant –for example, near China's south and southwestern borders." A J-11 fighter taxis on the runway after returning from a flight training on Oct. 30, 2015. As far as the J-20 is concerned, Kashin said that for now, the PLAAN will continue to experiment with the new aircraft, "developing their own tactics for using stealth plane and, simultaneously, creating new tactics for combatting enemy stealth aircraft."